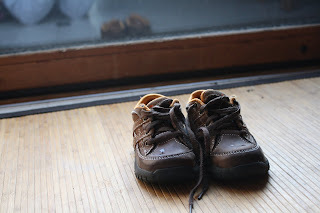 One morning this weekend, Elijah sidestepped around his shoes very carefully to get to our back door. 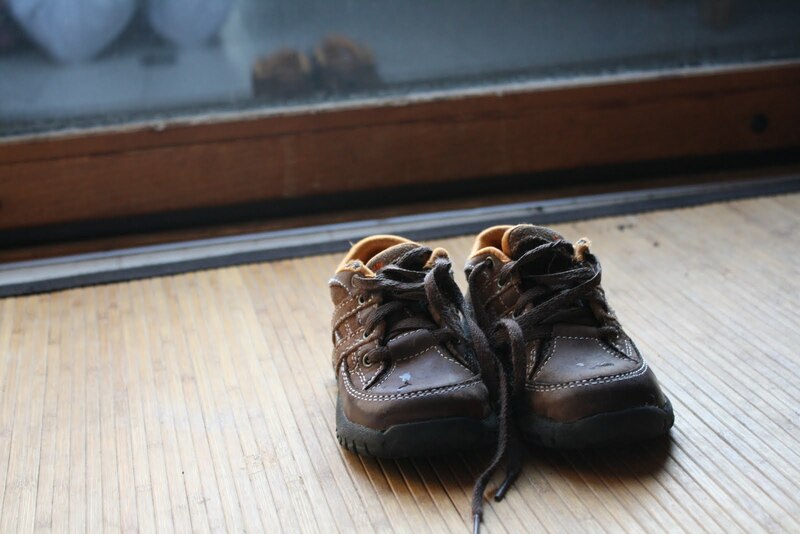 He touched the door, looked down at his shoes, and walked a few feet over to me. He backed up into me like he was going to sit on my lap, but missed and sat on the floor next to me - his feet kicking, his face looking expectantly up at me. It was clear what he wanted. "Mommy I'd like to go outside please. Could you help me get my shoes on?" he said without moving his lips. I looked down at our pajamas and the temperature gauge which read 30 degrees fehrenheit. What to do?...he'd asked so nicely. So, Andy grabbed his coat and Elijah's coat and they got all bundled up. 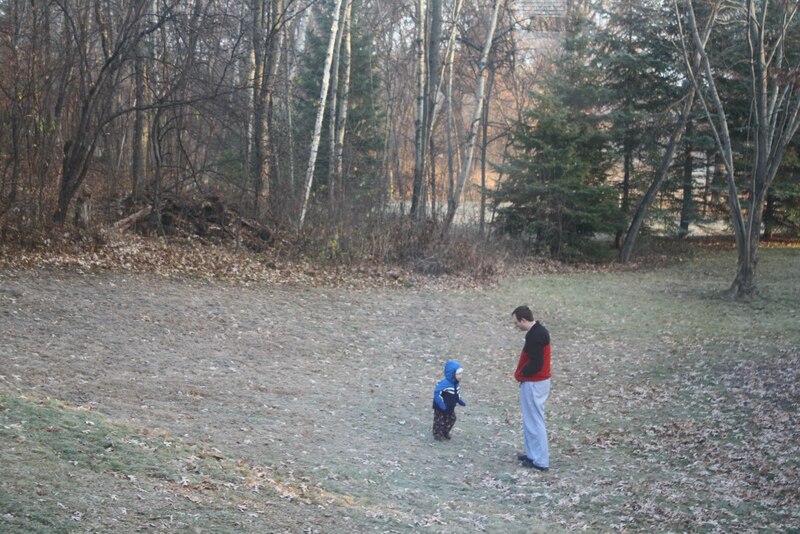 They went outside to play while still in their pajamas. I watched from inside making breakfast with a smile on my face thinking that life is good. Ahhh! The simple pleasures of life. What more can you ask? Communication is such a gift and happens in so many ways. Whether it be someone "talking" with their eyes, their hands , their mouth or just a gesture we begin to understand what a person may need or want. It also means that his brain is really figuring out how to get that point across. 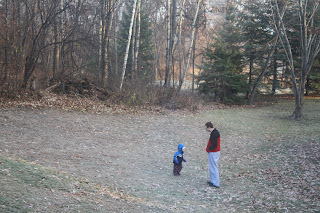 What a wonderful way to start the day playing outside in the jammies. Maybe we all should try it!! Do y'all have a sign for outside? By the way, I just love this post. It is so worthwhile to appreciate these precious moments!